HTC One X and HTC One S now for sale in the U.K.
Way back in those golden days of March, U.K. carrier O2 leaked the word that the HTC One X and HTC One S would launch in the U.K. on April 5th. Well, it doesn't happen every time, but the carrier was right on the money as the pair of high-end Android phones launched on Wednesday, April 5th, It wasn't just O2 that made the pair available as other carriers like Vodafone, Orange, T-Moble, and Three also joined in. Depending on the carrier and which plan you use, the HTC One X ad the HTC One S can be had for free. For example, O2's On and On plan for £36 per month ($57 USD) offers unlimited minutes and a free HTC One X with a signed 2-year pact. A Sim-free, carrier agnostic unlocked version of either phone is available via Amazon. The HTC One X is priced at £489.99 ($780 USD) via Amazon and the HTC One S is £414.99 ($660 USD) from the online retailer, both without a signed contract. 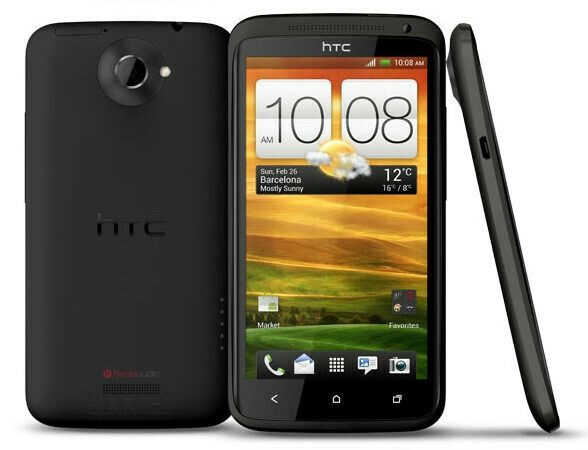 The HTC One X is equipped with a 4.7 inch Super LCD 2 display with 720p resolution and a high pixel density of 312 ppi. Under the hood is a quad-core NVIDIA Tegra 3 with 1GB of RAM and there is 32GB of native storage. That is important because there is no microSD card slot on the phone. The rear facing 8MP camera captures video in 1080p at 23 fps while the front-facing shooter comes in at 1.3MP. The HTC One S has a smaller (but not small!) 4.3 inch Super AMOLED display weith qHD resolution and pixel density of 256 ppi. A dual core 1.2GHz Snapdragon S4 will be driving the phone with 1GB of RAM on board. With no microSD slot on the device, you are left with the 16GB of native storage that the HTC One S is equipped with. The rear facing 8MP camera captures video in 1080p at 29 fps, while you can take self-portraits and engage in video chats using the 1.3MP front-facing camera. 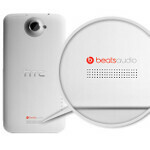 We might add that both models include Beats Audio technology. funny how the mid-range phone has more frames in 1080p. Sooo the Tegra3, designed for gaming, does not do as well as the dual core with older graphics? I am really unimpressed with the Tegra3. The S4 actually has better graphics. It can hold it's own against other chips.